LEADER INDUSTRIAL MANUFACTURE is a China based LED energy efficient lighting company. With over 8 years of experience within the lighting industry and own a strong R&D teams which have a wealth of knowledge that has helped to achieve some truly amazing results. LEADER INDUSTRIAL MANUFACTURE Tube Light, LED floodlight as well as other led products. Pioneer Technology set up a production base at the end of 2007, located in linyi city, has more than 2000 square meters, with high qualified and professional sales team. LEADER INDUSTRIAL MANUFACTURE and specializing in LED lighting but also offering a wide range of energy saving alternatives ensures that can offer sound advise, designs and accurate results every time, has proven success in many areas and are consistently showing that energy efficient lighting is a strategy that every business should follow. Our new products: LED Underwater Light, LED Pool Light, LED Fountain Light, LED Underground Light, LED Recessed Wall Light, LED Garden Light, LED High Bay Light, LED Flood Light, Boat Underwater LED Light, LED Work Light, LED Off-road Light Bar, LED Strip, LED Car Light Bulbs and so on. Offering a range of services including lighting designs, Lighting audits and advice Pioneer Technology are the ideal company to work with to create a more energy efficient company. Main products of the company include aluminum alloy shells and complete-set lamps (include electrical appliances) such as grassland lamp series, flood lamp series, lawn lamp series, auto parts, hydraulic parts, gas meter shells, hydraulic fire wood chopping machine parts and household appliances. 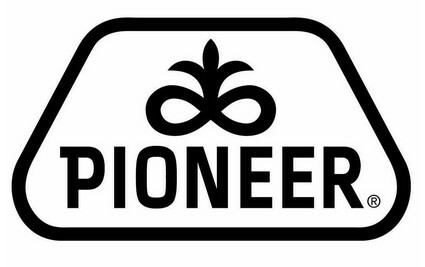 Customer's satisfaction is a guideline throughout the operation and development of Pioneer Technology. Pioneer Technology is proud to be one of manufacturers that always improve the management process to bring the highest quality in all services to the customers. Different person is responsible the different job. Some people are in charge of the design of the machine house, and some people are responsible the production research and development; Some provide the after-sales service or repairment. Task is clear, the division of labor is reasonable, clear, greatly improved the efficiency of our work and the enthusiasm of the staff. We will try our best to make our company be a famous one all over the world.